G24 Power is a company committed to sustainability â€“ both in the products we make and the way we manufacture those products. GCell is a durable, adaptable and recyclable product. Through our research and development activities, we are continuing to enhance our product and give additional social and environmental benefits to our customers and society as a whole. 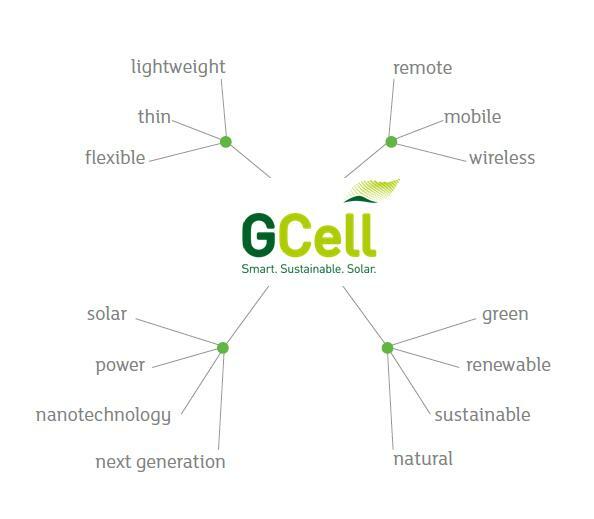 GCell as a technology offers a significant improvement on the sustainability credentials of traditional solar cells. The energy payback is measured in months instead of years because GCell doesnâ€™t require high energy processes associated with the manufacture of 1st generation wafer-based PV and makes use of significantly lessÂ vital raw materials used in the manufacture of 2nd generation solar cells. G24 Power recognises that in our day to day operations we impact upon the environment in a number of ways. Therefore we are committed to achieving continual improvement in our environmental performance and pollution prevention, and in supporting government policy for sustainable development. We look to promote sustainability both locally and globally. Our commitment to the environment is demonstrated by our unique products and the positive impact this technology will have on sustainability.